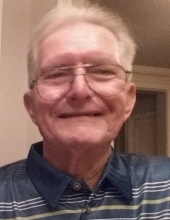 Charles L. Shipman, 81, of Brazoria passed from this life in Houston on Oct. 3, 2018. He was born in Marshfield, Missouri to Virgil & Mary Shipman on April 5, 1937. Funeral services will be held on Saturday, October 6, 2018 at 11 am at Baker Funeral Home in West Columbia with B. F. Flowers officiating. Visitation will be on Friday, October 5, 2018 at Baker Funeral Home from 6 pm until 8 pm. Burial will follow at Brazoria Cemetery. Serving as pallbearers are Shaffer Stephenson, Kevin Lane, Larry Toutcheque, Kurt Eddy, Aidan Mendoza & Collin Heidaker. Honorary pallbearers are James “PeeWee” Lane, Richard McClaren, Kenneth Frazer, Kenneth Finley, Gene Lowe, and Delmer Grindle. Left to cherish his memory are his children, Robert Shipman, Randy Shipman & wife, Lisa, Mark Socha, & April Shipman Mendoza & husband, Augie; grandchildren, Aidan Mendoza, Matthew Shipman & wife, Becky, Megan Brizendine & husband, Shawn, Joshua Shipman , Jennifer Shipman, Alex Rizzo & Bryson Rizzo; great grandchildren, Lexie Shipman, Kolby Shipman, Coniyah Shipman & Harmoni Shipman; brother, Dale Shipman & wife, Kathy; sister, Gayle Smith; numerous nieces, nephews and other relatives. He is preceded in death by his parents; wife, Margaret Shipman; granddaughter, Nadia Mendoza; 4 brothers and 4 sisters. To plant a tree in memory of Charles L. Shipman, please visit our Tribute Store. "Email Address" would like to share the life celebration of Charles L. Shipman. Click on the "link" to go to share a favorite memory or leave a condolence message for the family.